Shelby is a management student at Indiana University-Purdue University Indianapolis, and a graduate of Heritage Hills High School. Congratulations Shelby! Congratulations to all the winners and thanks to everyone that participated! 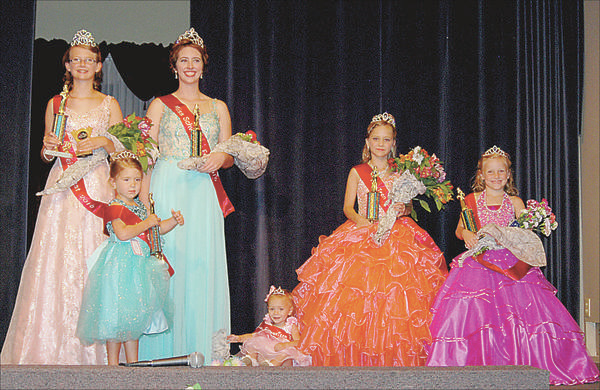 Winners of the Miss Schweizer Fest Pageant were from left, Miss Teen Leann Goffinet, Tiny Miss Macey Martin, Miss Schweizer Fest 2016 Shelby Krutz, Miss Toddler Harper Reynolds, Miss Preteen Chloe Mullins and Little Miss Olivia Coomes.